The Good Time Travelers return to Alaska for the 5th time and bring their music to KNBA for a Live In-Studio session for the 3rd time. 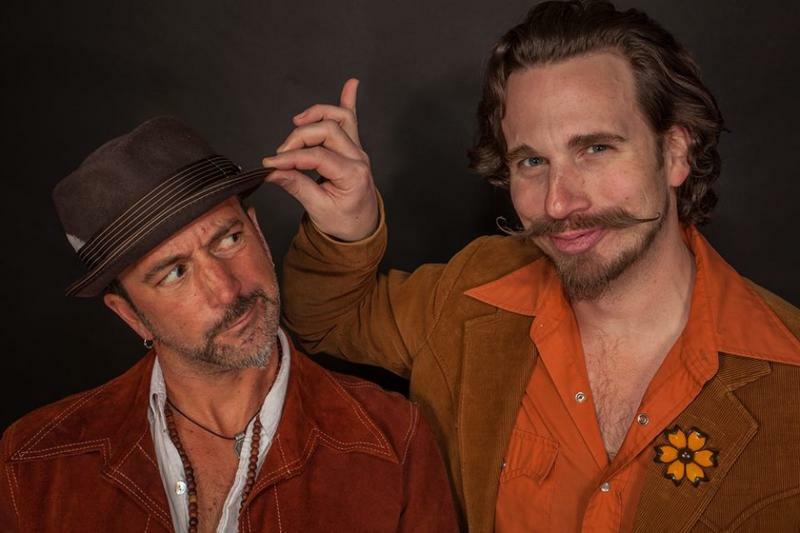 Coming up here so often, connecting so well with locals and sharing music during the so cold month of March puts this duo into our Honorary Alaskan category! Please pardon the very short audio 'overdrive' moment during first song. Live In-Studio March 10, 2017. A high voice, smoky and soulful; a low voice, rich with bravado. It’s a simple endeavor: a guitar, a mandolin and two microphones-traveling light, this band fills up your heart, but barely fills a Subaru. Both gentlemen have been leading bands around the west for some time and found each other at the Telluride Bluegrass Festival in Colorado. 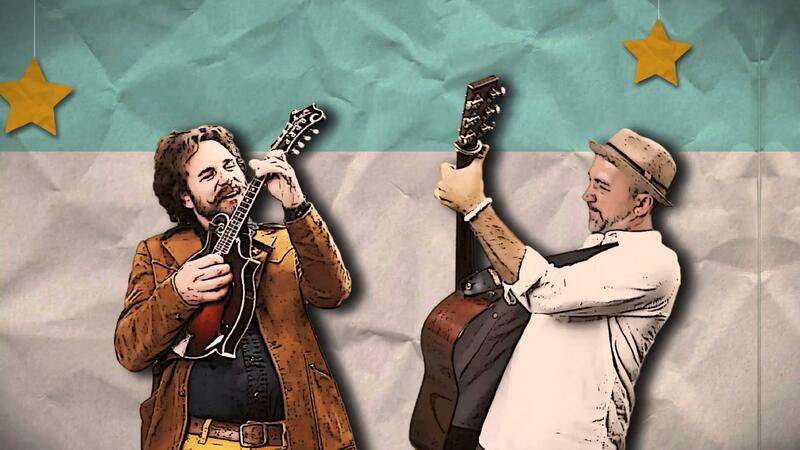 At their first campground session, it became clear to all who witnessed the magic of these two troubadours that this was more than just another Town Park jam. In fact, Michael won the prestigious Telluride Troubadour Competition in 2014 and Pete had taken an honorable first runner up in 2011 and 2013. Pete and Michael began co-writing in the summer of 2014, focusing on the alchemy of their unique voices and instrumental styles. The Good Time Travelers first came to Alaska in 2015 to play at SalmonFest. The stayed awhile and played in several communities all who said "You gotta come back!". So, they did. Pete Kartsounes and Michael Kirkpatrick have a good time wherever they go and the audience is never left out. You can catch up with the guys by checking out their website and visiting their shows when they're near you.